Would you like to have prospects and customers that are anxious to take advantage of what you’re offering? If you’re unconcerned about the value of your offer in your audience’s eyes, this article is not for you. As I mention in my book Digital BACON, what you think you sell is irrelevant. The only value of your offer is that which your audience is willing to grant it. Now while you can’t control your audience’s mind, what you can do is optimize your offer and its presentation in such a way that prospects are attracted to it, and can’t resist converting into clients/customers. Most businesses make their offer appealing by simply dropping their price. 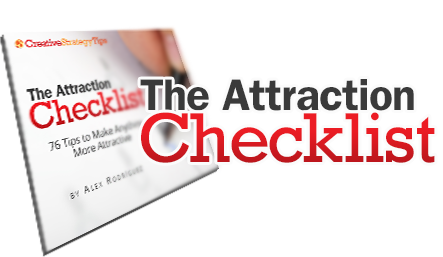 I believe there are many more — and much more effective — ways to attract people that are willing to purchase. 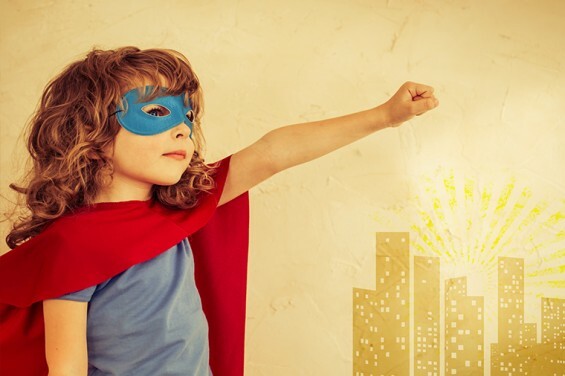 Here are seven ways to give your offer superpowers. Ready? I will dare to guess that what the majority of players in your industry do to make their offer more enticing is drop their prices. Most businesses resort to this tactic because it’s easy to do. Think about it: Dropping your price requires nothing unique nor special. Anybody can decide to cut their profits or even take a loss. However, most people that are looking to buy, wallets in hand, are much more savvy than to be easily convinced that just because something is cheaper, it’s necessarily the best choice. Most consumers are looking for much more than just a good price. The offer needs to be of a certain quality, satisfy their need in a very real and particular way, and appeal to them emotionally (more on that below). Your audience must perceive that the offer is putting forth a significant amount of value, such that it deserves their sacrifice — be it monetary, time, attention, etc. The way we suggest making your offer attractive is not just to drop your price, but to stretch the distance between the value your audience perceives your offer has, and the cost required to acquire it. The further apart these two are stretched, the greater the tension in your prospect’s mind, and the more irresistible the purchase becomes. What do I mean by “stretching further apart”? Quite simply, your audience needs to get the sense that they are getting an amazing level of value for what seems like a much lower price than it seems like it would cost. A high perceived value at a high price, as well as a low perceived value for a low price, both seem like exactly what would be expected. This doesn’t create attraction because it’s what everyone else is offering. If everyone else is doing it, your potential buyers will probably wait instead of taking action. However, if they observe a huge gap between the value you’re offering and what you’re asking for it, you have created a mental-pattern breaking phenomenon. Your audience must stop in their tracks and seriously consider whether it makes sense to pass up your offer. Attraction begins with that exclamation point in people’s minds. If you’ve created this, you have effectively planted the seed that will pull them in your direction. Another quality that breaks people’s mental patterns is the fact that nothing good in this world is endless. Since we were very young, we experienced our lollipops running out, our playtime coming to an end, and our crayons going from solid to crumbled. Deep within our minds, we understand that everything that is valuable comes in limited supply or for a limited time. At the same time, we tend to attribute a greater sense of value to those things that are bound to run out. If the inventory seems endless, people feel that it’s OK to hold off on their purchase; on the other hand, if your item is one of the last ones on the shelf, it interrupts the pattern of holding off, and forces them to consider whether it’s worth passing up on the deal. If you think about your offer, you may be able to identify many aspects in which your goods are limited. You don’t have more than a certain number of hours a day to consult. Your product inventory isn’t endless. Even an electronic product is never offered forever — whether by design, or because it’s value fades over time. Stop and consider in which ways what you’re offering might be scarce, and whether you may be able to communicate this reality to your audience. It doesn’t have to be in a pushy, late-night infomercial way, either. Just be sincere about it. If your product comes in limited supply, tell them. If you only intend to open the offer during a certain period of time, tell them. Be sincere with yourself and your potential clients. At the end of the day, interacting with brands that we don’t like just doesn’t make us feel good. This is an experience we all avoid at all costs, even if those brands offer exactly what we want and for the price we’re willing to pay. This is why we say that all purchases are emotional in nature. The decision to buy is rooted in a deep identification with the person or company offering their product. If they don’t like you, they certainly won’t buy from you. This is why over half of the Purchase Drivers I speak about in chapter II of Digital BACON have nothing to do with aspects that are easy to manipulate. People tend to like things that they can identify with culturally, ethically, philosophically, or in one of many other ways that affect them profoundly. Generosity breeds like-ability. When we meet people that give freely, with no strings attached, something within us is moved to pay special attention to them. In fact, we even feel prone to give back to those that give us something first. This is what is normally called the Principle of Reciprocity. This is why supermarkets — especially on weekends — are lined up with folks giving free samples of different products. It’s not just because we want to try before we buy. We also let our guard down when we receive from others, especially when there is no apparent expectation of commitment to return the favor. If bite-size generosity causes this effect, what do you think happens when a brand gives in abundance of quality and quantity? The power to attract an audience in your direction will only increase in proportion to how your generosity scales in quality and quantity. Yes, this means giving away the best you have. For free. Not everything you have, mind you, but certainly immense proportions of quality advice, ideas, tools, and other valuable services should flow out like a river from your brand. Don’t let the first customer touch-points with your brand appear like they need to climb a paywall to get to you. Find creative ways to give value away, and in the process you will be opening the doors so that potential customers can approach and purchase from you. When I was much younger, I used to play the piano on Friday and Saturday nights at a very fine restaurant. Once on Valentine’s Day, we were set to expect a spike in customers from all over town, as of course love birds tend to want to go out for dinner on this date. That day I observed a very strange phenomenon. You see, early in the evening the first couple arrived while the restaurant was still empty. They had the whole place to themselves. All the waiters were ready to pay attention to their needs, they could sit wherever they want, and of course I was there to tickle the keys for their exclusive entertainment. However, after sitting down and fumbling over the menu… they stood up and left! Shortly after, another couple came in, and did the exact same thing. Then another, and another. The frequency of customers coming in was not quicker than that of the ones exiting the place. For that reason, the room appeared empty every time one of the couples came by. Yet more powerfully, it appeared as if nobody was interested in what we had to offer, and our value plummeted in their eyes. In the opposite direction, when your offer appears as if many other people are enjoying it, people are more inclined to think that they’re missing out. I’m sure those couples that walked out that night went straight to a restaurant with a full parking lot! This is the same reason why testimonials work so well. People get a sense of comfort when they know that other people are taking advantage of what is being offered, and are being left satisfied — especially if those people are similar to them in some manner or another. Statistically speaking, a very small number of people feel comfortable being beta testers and early adopters. Consider in which ways you can communicate the fact that many others have taken advantage of what you’re offering, or have trusted you in a sincere way that validates the quality you’re putting forth. Would you agree that abrupt and unexpected changes freak us out, especially when they involve another person or company? Most of us enjoy feeling like we’re in control, and that if there’s a change to be made, that it is approached in a gradual manner. When you present an offer to purchase your product or service, you’ll get much better results if you get your audience to agree or commit with something that requires a lesser level of sacrifice on their part. By just assenting to a statement, or getting them to take some kind of action that requires a lower level of risk, you provide a smoother path towards the greater commitment. Did you notice that in the paragraph above, I began with the words “Would you agree…”? I planted a question in your mind, something easy that you can agree with, and I would guess that after you did you were a bit more open mentally to what I continued saying next. I just used this principle on you, so how did you feel? Think about how you can give your prospects a small taste of what you have to offer in exchange for a no-risk commitment on their part. Once they’ve climbed one small step into your realm, they’ll be much more at ease about the idea of continuing their climb across your menu of products and services. The ones who belong in your circle. The ones who don’t belong in your circle (who weren’t going to buy from you anyway). The ones who wonder whether they belong in your circle or not. By stating who your audience is, group #1 naturally pays attention to your offer. Group #2 is turned away from you, which is a good thing, as you no longer need to waste resources trying to convert those who were not poised to buy from you in the first place. On the other hand, group #3 is where real growth occurs. By having them wonder whether they belong or not, you’ve effectively made them stop and think about you. You won. They’re thinking about you. Now all you need to do is clarify the rest of the terms of your offer. If you apply the rest of the tips in this article, there’s a high chance you can convert a portion of this group. At the beginning of this article, I said, “If you’re unconcerned about the value of your offer in your audience’s eyes, this article is not for you.” I immediately segmented those who were about to read this. I have nothing to say to people unconcerned about their audience, so it’s absolutely no problem for me to turn those people away. If you’ve read this far, I’m pretty positive you belong to group #1, am I right? We never offer our products and services to absolutely every person in the world. Define your target audience, and let your general audience know who your target is. Only if you draw your circle clearly, will you be able to fill it in.